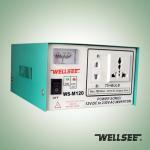 WELLSEE WS-M120 Modified Sine Wave Inverter _Modified Inverter_Products_Physical therapy,health product,therapeutic apparatus,Electro Acupuncture,Medical Supplies are best selling on our website! WELLSEE WS-M120 Modified Sine Wave Inverter (also known as Wellsee solar modified wave inverters) mainly supply power for independent solar power system, i.e. the off-grid system. 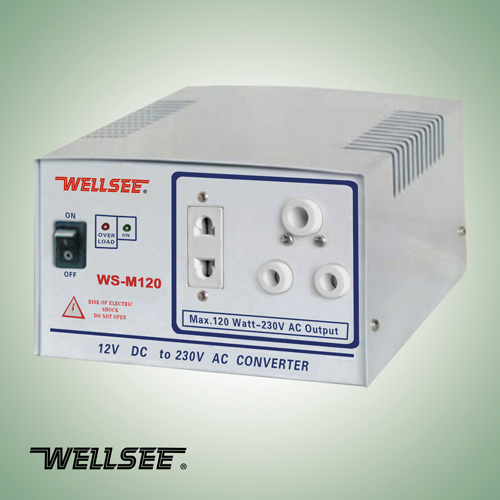 WELLSEE WS-M120 Modified Sine Wave Inverter can transfer 12V DC to 220V AC for home appliances.Wellsee solar power inverters are important in solar systems is an component whose main function is to transfer input 12V DC or 24V DC into an AC 220V, 50Hz output for end users. 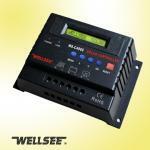 The output power is 120W ~ 3000W. We are special large scale R&D and manufactory enterprise of solar power inverter ,the global supplier of WELLSEEsolar controller, photovoltaic system equipment . We also have passed ISO9001, CE and RoHS certifications. 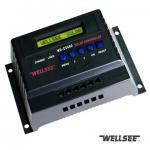 Wuhan Wellsee products can be designed and produced according to clients’ special request. Welcome to be our agents! could you please qoute for it? Function well, but need tranfer socket in KOrea.